Bulk orders are where you only buy the flowers and do all the arranging yourself. A bulk order is perfect for the cost conscience bride or a bride (or friend/relative of the bride) that wants to get creative and do some floral design. Bulk flowers are also perfect for anniversary parties, graduations, or any special event or occasion. 1) We have a limited number of slots available per week. A $50.00 deposit secures your weekend. This deposit ensures you have beautiful flowers for your special day. This deposit will be applied towards your final bill. 2) The week before your event I will send an order form that lists all available flowers with prices. You have until noon on the Monday before your event to return the order form with your selections. 3) Your requested flowers will be harvested at the peak of freshness from our fields, specifically for your event. 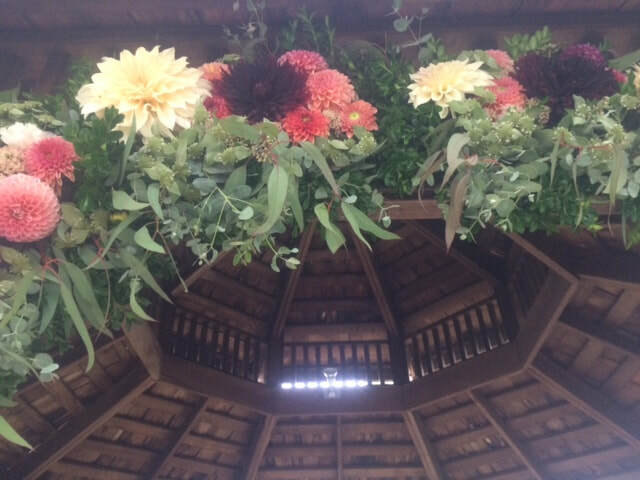 4) Your flowers will need to be picked up from the farm the Thursday, Friday or Saturday before your event. You will need to bring your own buckets (to transport the flowers home). Five-gallon buckets, waste baskets, and tall plastic bins will work but they must be extremely clean. Payment is due when flowers are picked up. 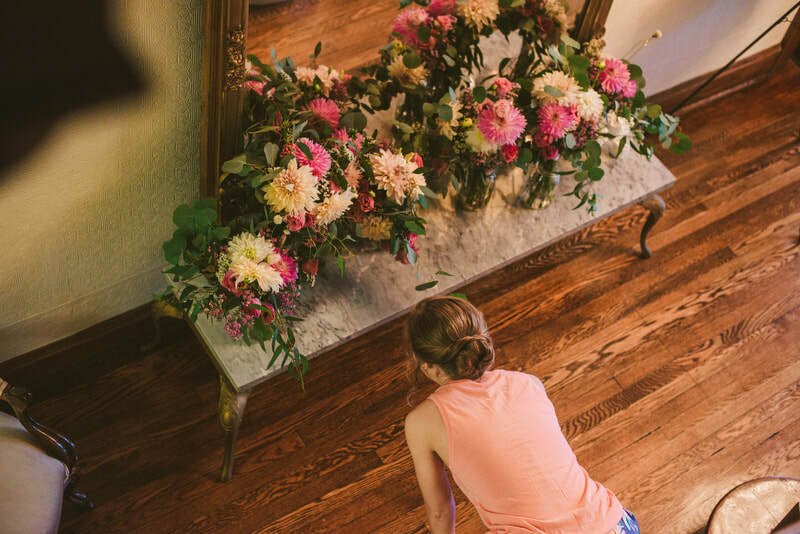 Full service weddings include all the flowers and floral design. This option usually includes delivery and set up a venue. This option allows you to relax on your big day and let us take care of all the flowers. Don't feel comfortable making boutonnieres or a bridal bouquet but feel good about making centerpieces? Then our A La Carte option is for you. This option allows you to purchase a mixture between bulk flowers and custom designed pieces. 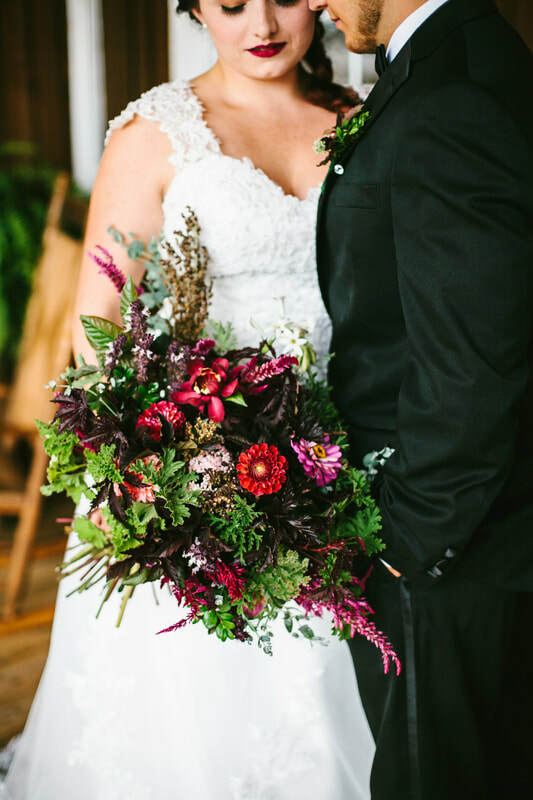 This is our most popular option with most brides purchasing bulk flowers for centerpieces and ceremony flowers and having the personal flowers like bouquets and floral crowns custom designed by Sarah.